Yara, a Lebanese woman, describes her past and present in terms of the scents of the souks, the odors of the street, the perfumes of soap and perfume shops, the smell of her mother’s cooking, the colognes of her male friends and husband. She is admittedly hypersensitive to her olfactory surroundings, and associates many of these with memories dear to her, recalling Proust’s evocative madeleines. She is forbidden by her father to marry a non-Muslim, yet the memory of her Jewish first boyfriend’s cologne represents the essence of sensuality for her. When she agrees to marry her Muslim cousin whose smell repulses her, to satisfy her father’s wishes, she is plunged into despair and experiences a series of personal and family tragedies. When she subsequently loses her sense of smell, this becomes both a blessing and a curse, as she is content not to be plagued by some disturbing odors, but finds that memories connected to smells also begin to disappear, creating a certain loss of self. The inner monologue which documents this emotionally charged loss, also seductively evokes the Lebanese cultural context via her choice of colorful details. 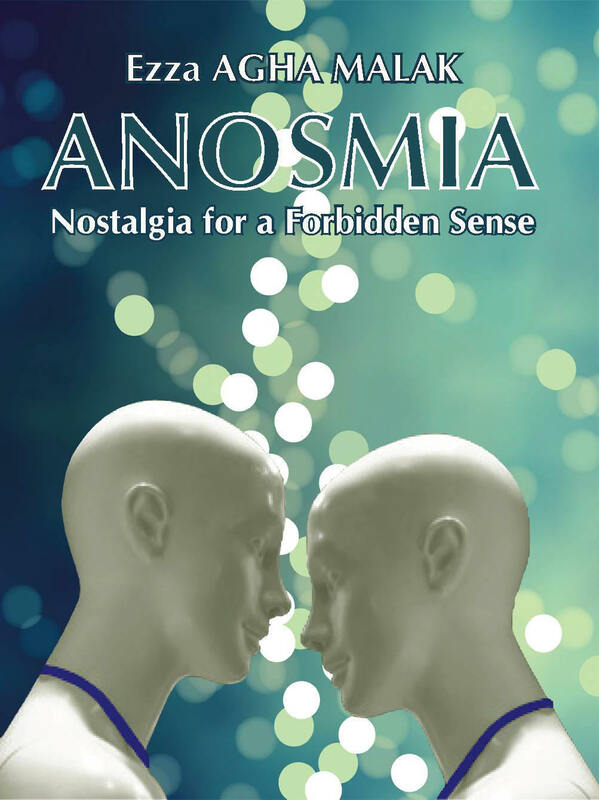 As she passes from a state of “anosmia” to “dysosmia,” the olfactory changes she experiences provide the impetus for this woman’s efforts to save elements of her past as she situates herself in an ever-changing present context. This novel will captivate readers interested in contemporary Lebanese fiction; it illustrates how women may navigate their changing role in Lebanon, and documents the way the sense of smell is connected to memory. Its story of forbidden love also provides an excellent backdrop for a questioning of social norms and self-identity. 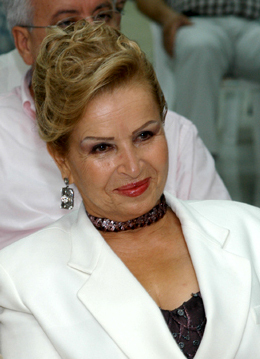 Dr. Ezza Agha Malak, born in Lebanon in 1942, is a retired professor of the Université Libanaise and the Université Saint-Joseph (Lebanon), having taught in the areas of French Linguistics and Stylistics, as well as French language and literature, both at the university and high school levels. She directed doctoral research at the University of Lebanon, and is an honorary recipient of the distinguished title of Chevalier de l’Ordre des Arts et des Lettres, accorded by the French government. She received a Doctorat d’Etat ès Lettres et Sciences Humaines from Lyon II, France, in 1983, as well as the Doctorat de 3ème Cycle in French Linguistics and Semiology from Lyon II, France, in 1977, and the DEA in Applied Linguistics from the same university in 1975. She obtained the Maîtrise de Lettres Modernes, from the Ecole supérieure des Lettres in Beirut in 1974, and a Licence de Langue et Littérature Françaises, from the University of Lebanon in Beirut in 1973. Dr. Ezza Agha Malak is the Chief Editor of the monthly francophone review, Trait d’Union, co-founded the monthly francophone journal, Phares, and has presented at numerous academic conferences worldwide, as well as authored a number of articles on French linguistics and literature, for academic journals such as La Pensée arabe contemporaine, Trait-d’Union, la Revue du Liban. She is a regular contributor at the Salon du Livre in Beirut, in Tripoli, in Provence and in Paris, and has recited original poetry in Canada, the U.S., France and Lebanon. In addition to being a composer and performer of children’s songs, she has been spotlighted on Canadian, French and Lebanese radio and television. In 2001, she received the Médaille du Mérite from the Comité de l’Éducation Parlementaire libanais, and regularly consults for national teaching associations and writing contests. A special colloquium to honor her artistic and academic contributions was organized in Lebanon in 2005, and another will be held in Paris in November 2008. Two collective studies of Dr. Ezza Agha Malak's work have been published to date: Regards sur l’œuvre narrative et poétique de Ezza Agha Malak, Éditions des Écrivains, Paris 1999; and Regards croisés francophones sur l'œuvre narrative et poétique de Ezza Agha Malak, l’Harmattan, Paris 2005. Dr. Ezza Agha Malak has published more than 7 volumes of poetry in Lebanon and Paris, since 1985, and at least 12 novels or collections of short stories since 1957. Her most recent novel is entitled, Bagdad : Des morts qui sonnent plus fort que d’autres (Éditions des Écrivains, Paris 2006). She currently resides in both Dijon, France and Tripoli, Lebanon. Dr. Cynthia T. Hahn is Professor of French and Chair of the Department of Modern Languages and Literatures at Lake Forest College, Illinois (USA). She received her PhD in French literature from the University of Illinois at Urbana-Champaign in 1990. Dr. Cynthia T. Hahn has published three other novel translations to date, including two by Lebanese author Evelyne Accad (Wounding Words: A Woman’s Journal in Tunisia, Heinemann, Oxford, 1996; Poppy From the Massacre, L’Harmattan, 2006), and another by Algerian author Noureddine Aba (The Lost Song of a Rediscovered Country, L’Harmattan, 1999), in addition to a translation of Tunisian poetry, and a short story of Djbouti (in From Africa, University of Nebraska Press, 2004). Other publications include scholarly articles on North African women’s studies, French language literature in Canada, translation studies, and her original poetry in English and French. 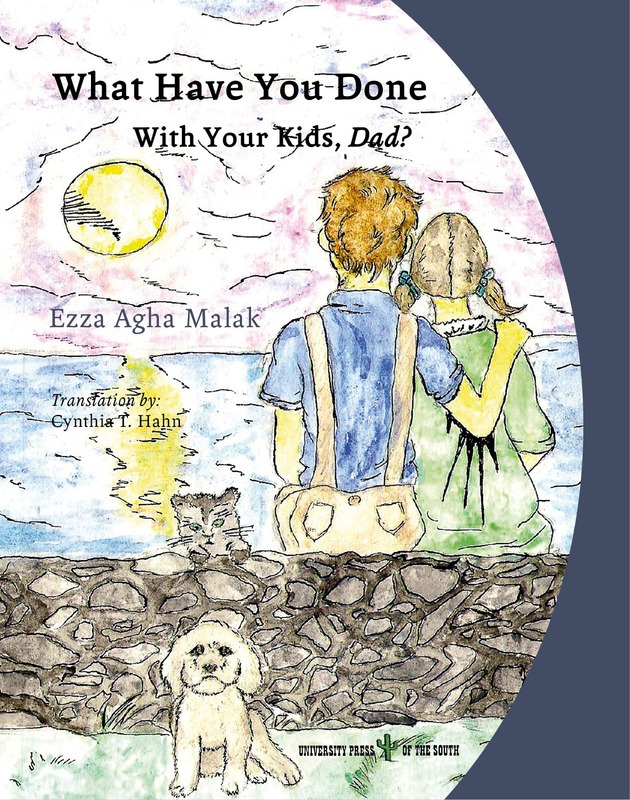 Dr. Cynthia T. Hahn translated Dr. Ezza Agha Malak's book, What Have You Done With Your Kids, DAD?, published by University Press of the South in 2013.